I was on the terrific podcast "This Week in Machine Learning and AI" where I talked about machine learning, natural language processing, and document vectors for 45 minutes. A++ would highly recommend. 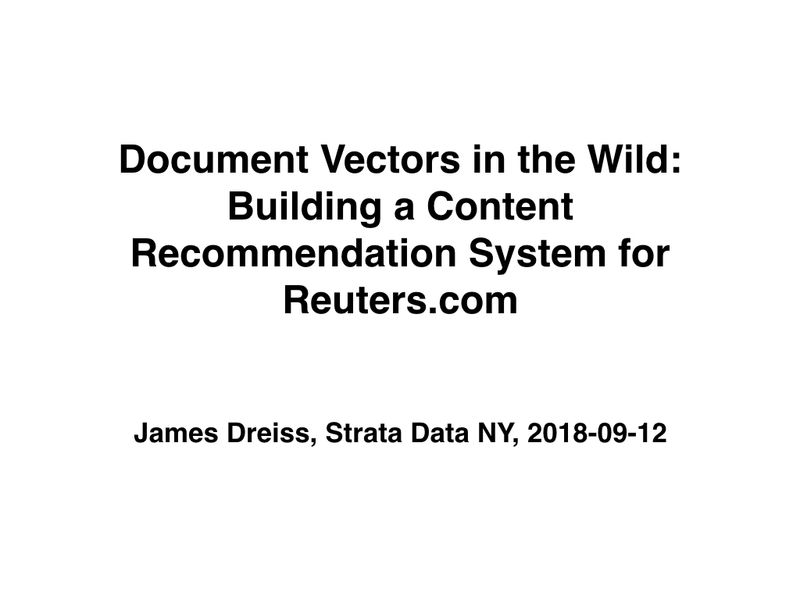 I also gave a talk on these topics at the Strata Data conference in New York, the slides for which are below.